By far one of the best decisions we made during our 6 month backpacking trip was to visit Japan during cherry blossom season. 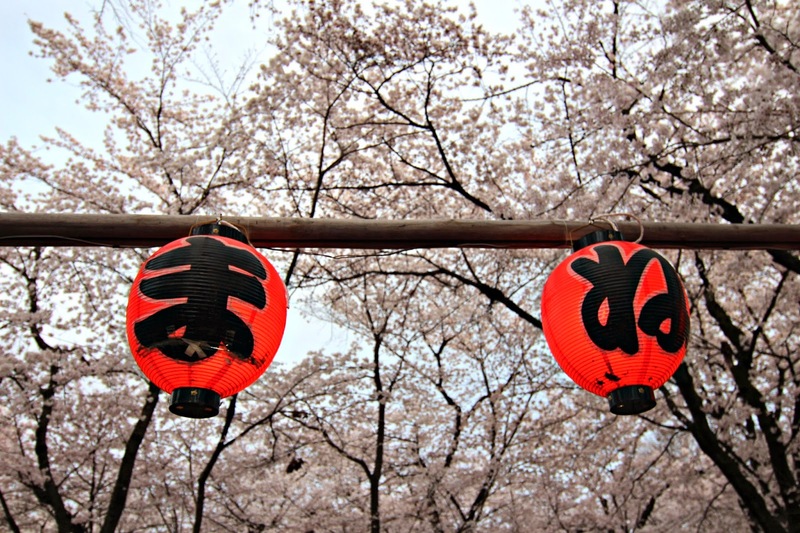 During the few weeks in which 'sakura' paint Japan in colors of pink and white, the Japanese practice that art of 'hanami' which basically means enjoying the cherry blossoms. 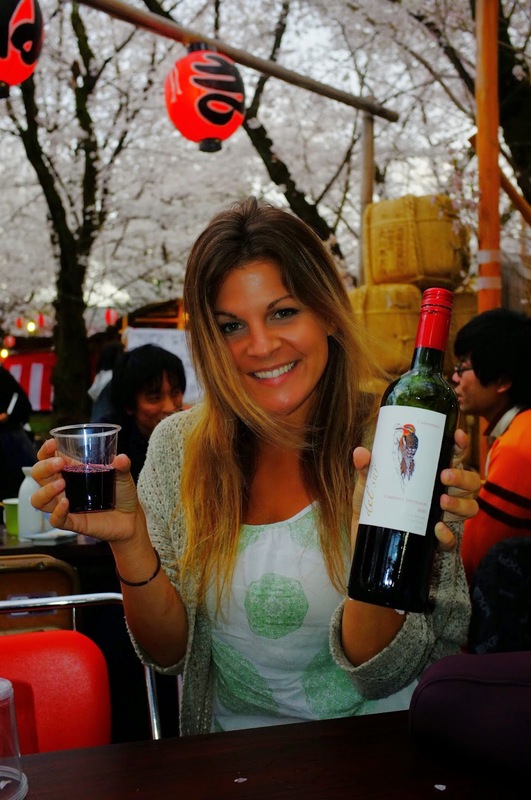 The Japanese get some food, some sake and find a nice spot under the many cherry blossom trees. There are tons of places around Japan with cherry blossoms--even from the train the countryside is covered in cherry blossom beautifulness. 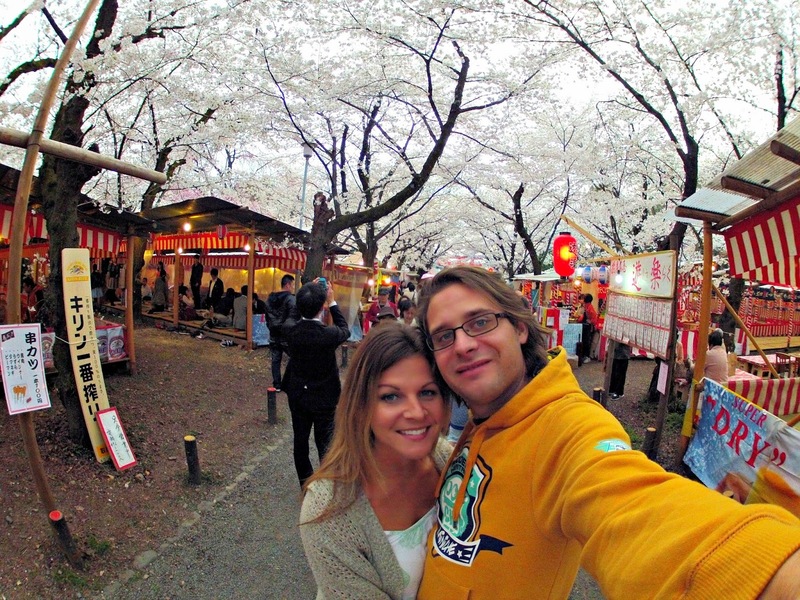 We got our 'hanami' on in Kyoto...twice! And both times were more than a success. The first one we found by mistake (and was our favorite). Down the street from the Golden Pavilion, we found ourselves walking through a park completely covered with cherry blossom trees. There was sake, there was sushi, there was gyoza and potato salad, and there were lots and lots of laughs. The fact that our friends Ross and Cheryl flew from California to meet us in Japan for 2 weeks made the experience even better. 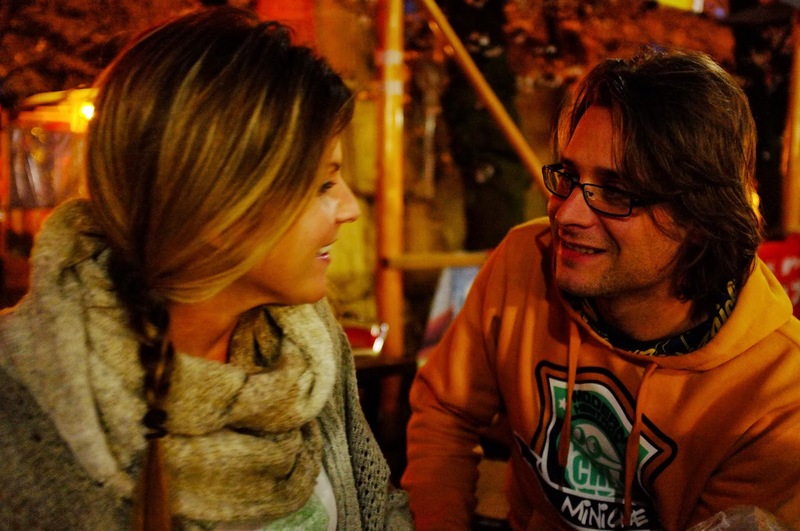 The hanami parties were some of our favorite memories in all of Asia. And then we ordered more sake ;). wow. how beautiful. It looks like another planet. 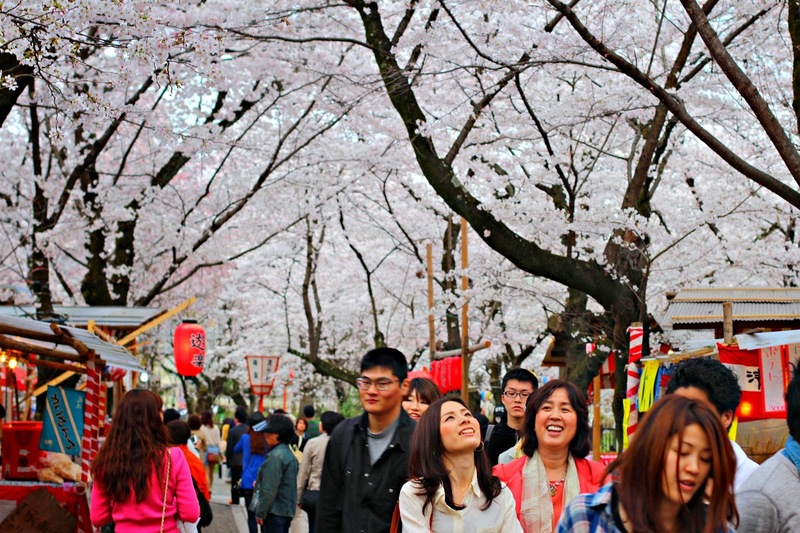 Oh my goodness, I would LOVE to go to Japan during cherry blossom season. It looks so beautiful! Amazing Post! Beautiful picture explains itself that how Wonderful these places would be in real. It has always been a dream to visit places like this, Eagerly waiting for my holidays so that we could go there. Last season we had a trip to Spain which was really great and was on our budget just because we got cheap Villa in Spain. Looking forward for cheap Villa this year also.